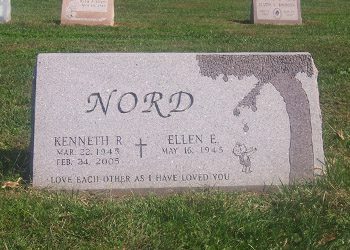 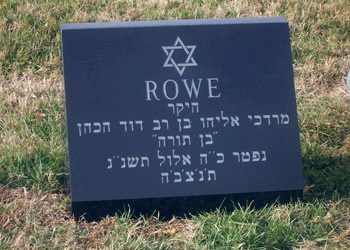 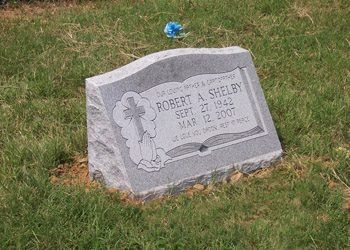 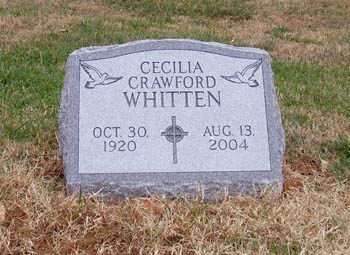 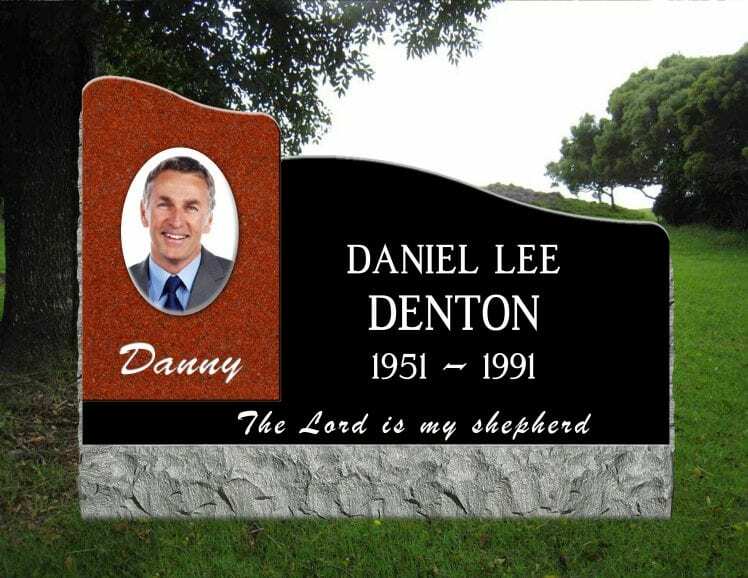 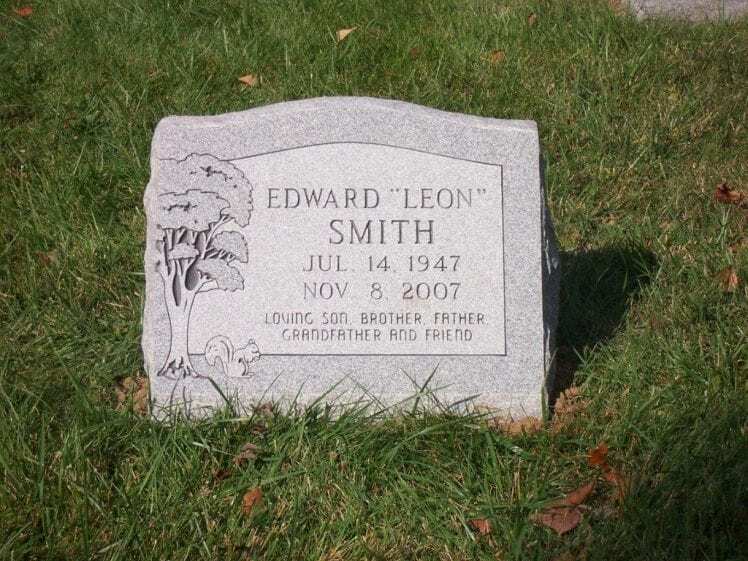 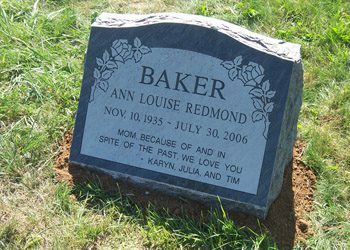 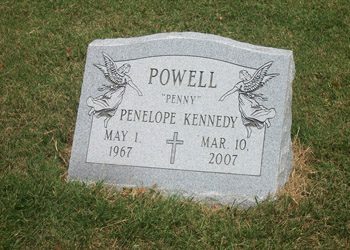 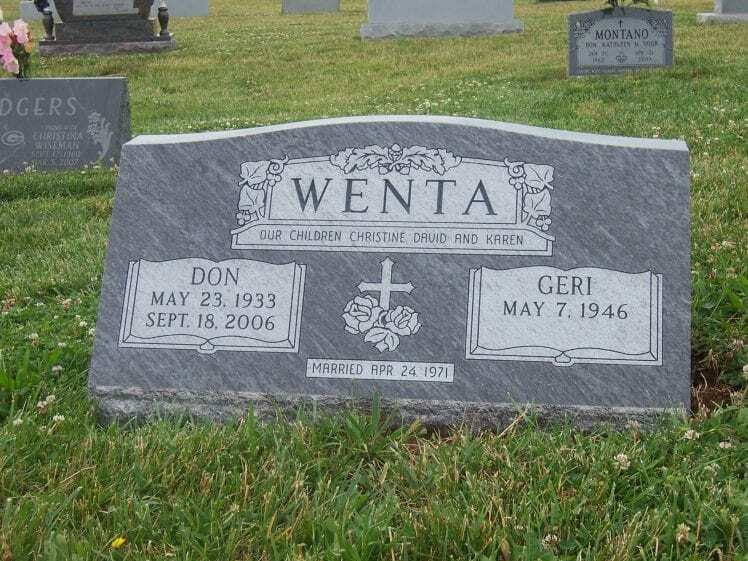 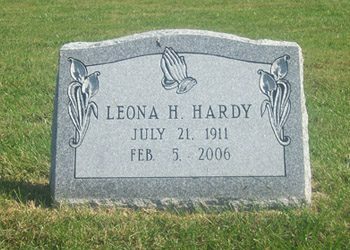 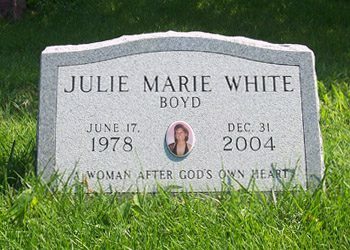 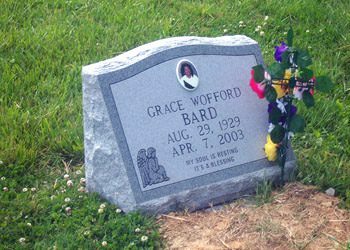 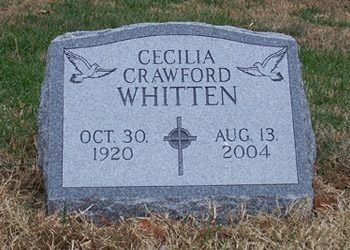 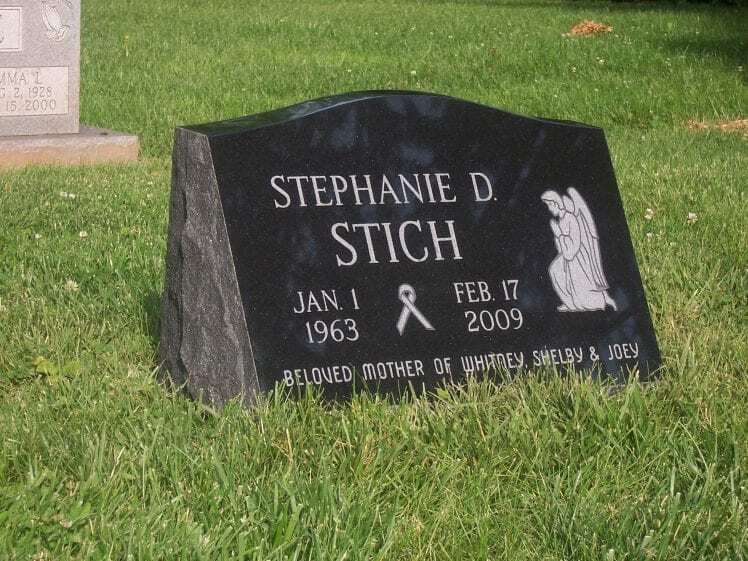 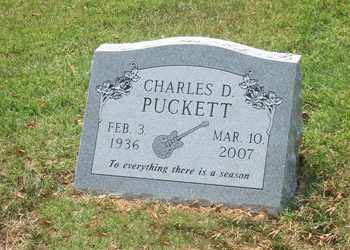 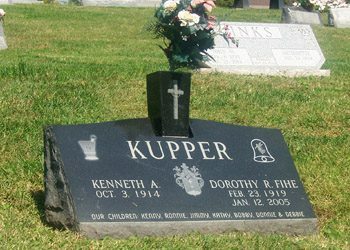 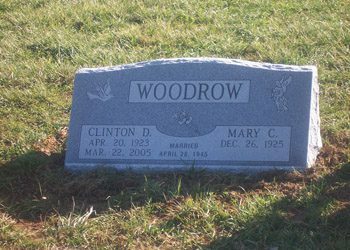 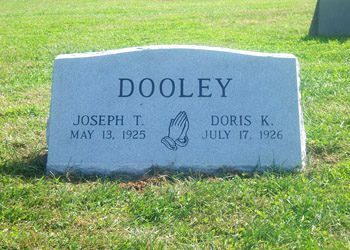 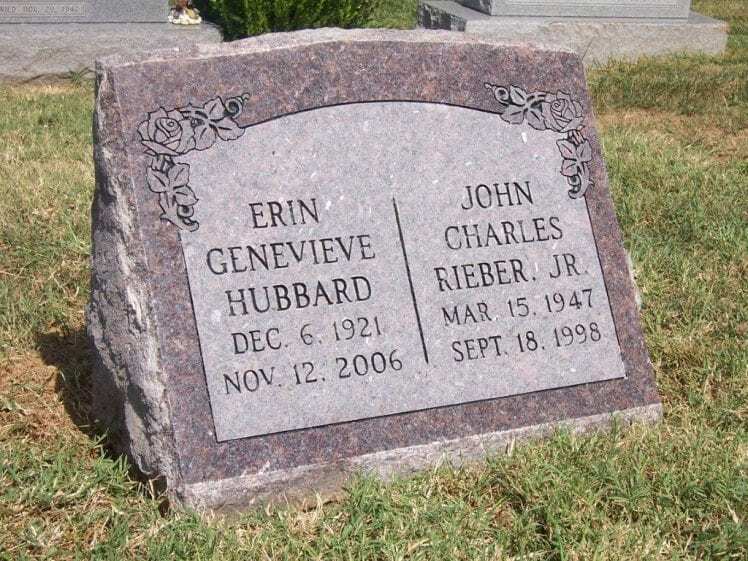 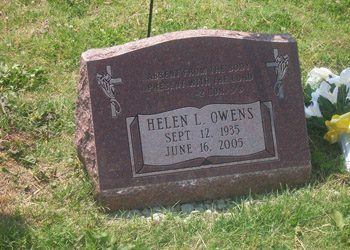 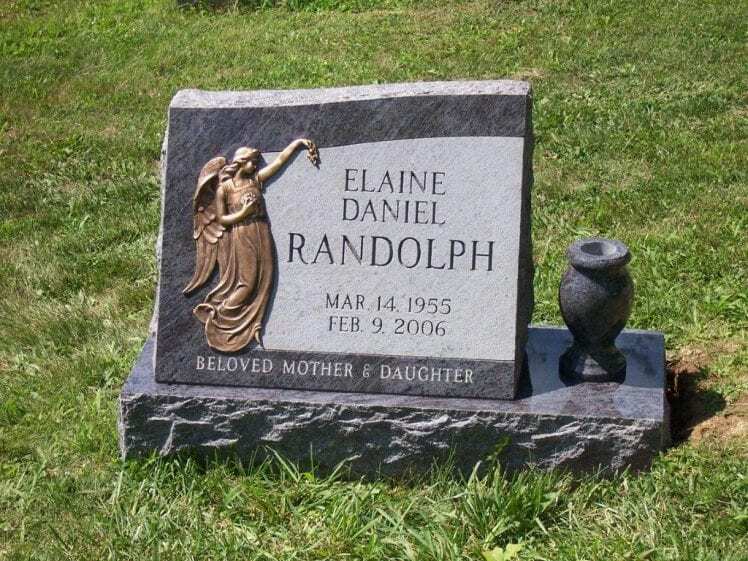 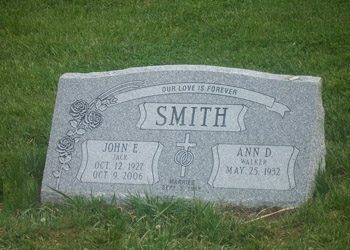 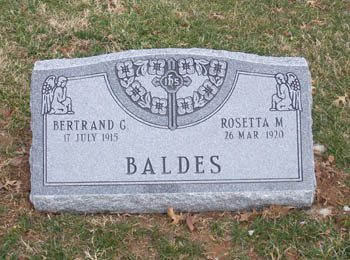 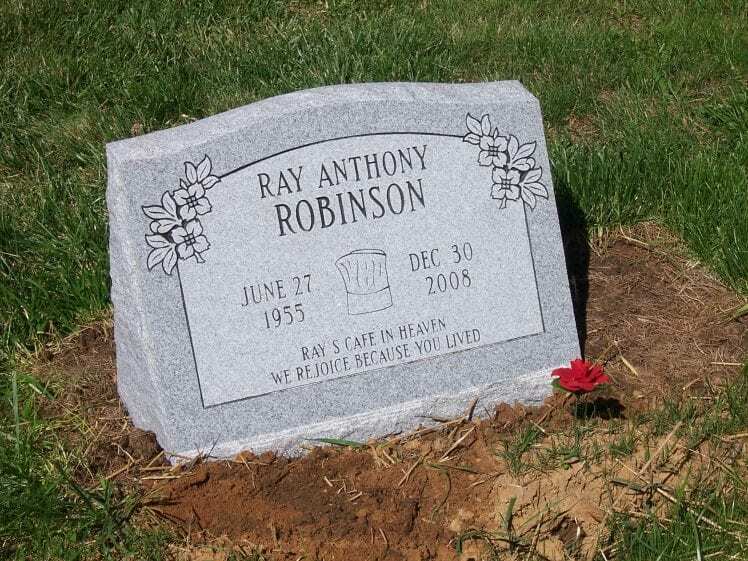 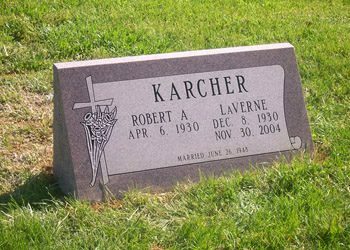 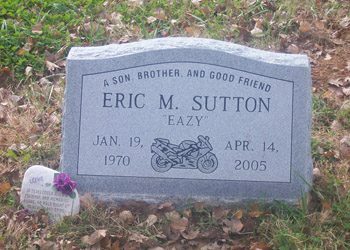 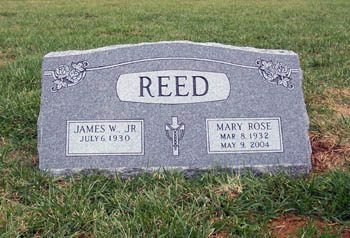 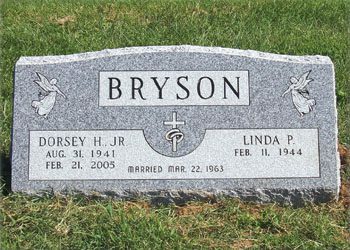 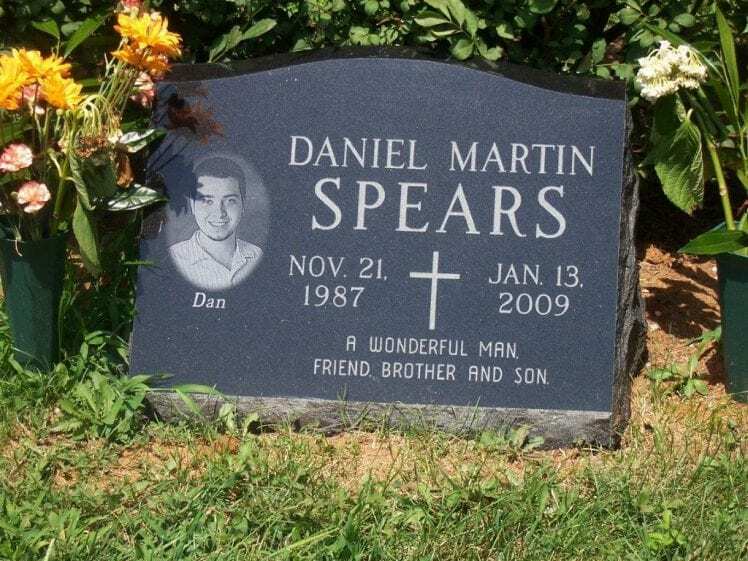 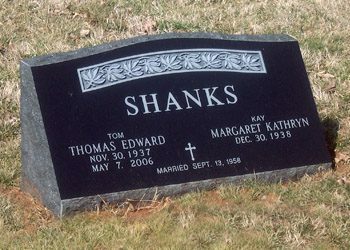 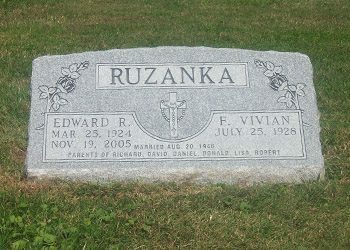 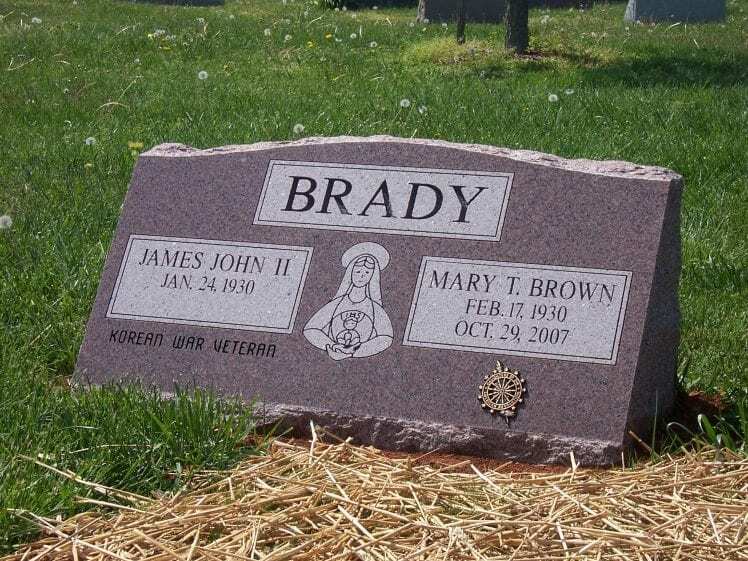 Slant grave markers and headstones include a serpentine or flat top design, and marks one to four family members grave sites. 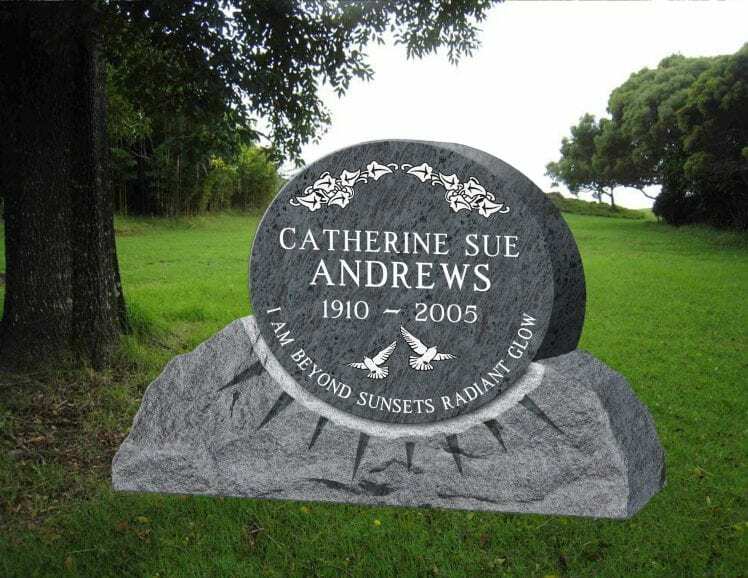 The front face design slopes from back to front, with a rough or polished top. 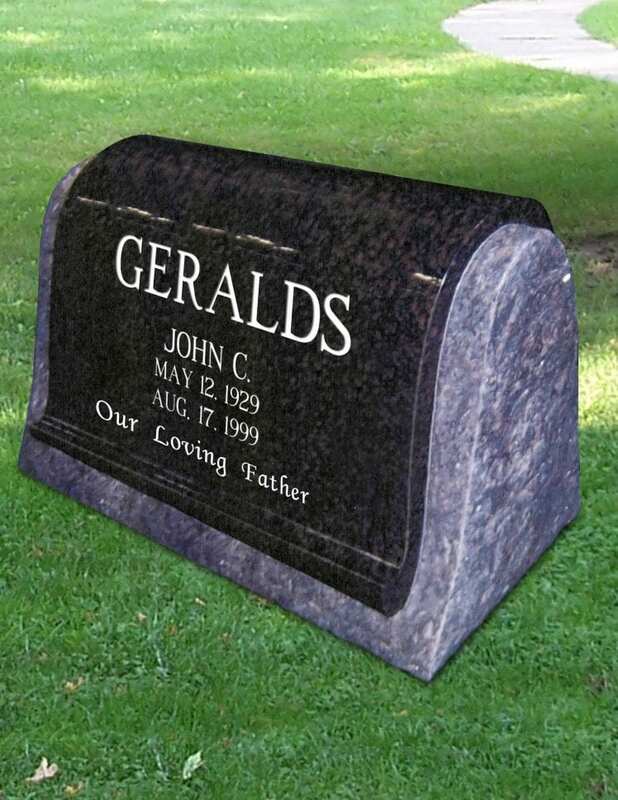 They can include cut-outs for vases and other monument accessories.